Make the Bard relevant in 2017. The 400th anniversary of William Shakespeare’s death was in 2016, which reaffirmed that his writing is still relevant and celebrated in today’s world. Shakespeare hasn’t lost his place in the classroom either. Many high school teachers (and even some middle school teachers) include a Shakespearean drama in their curriculum. Yet, not all students embrace Shakespeare. Some even hate it! 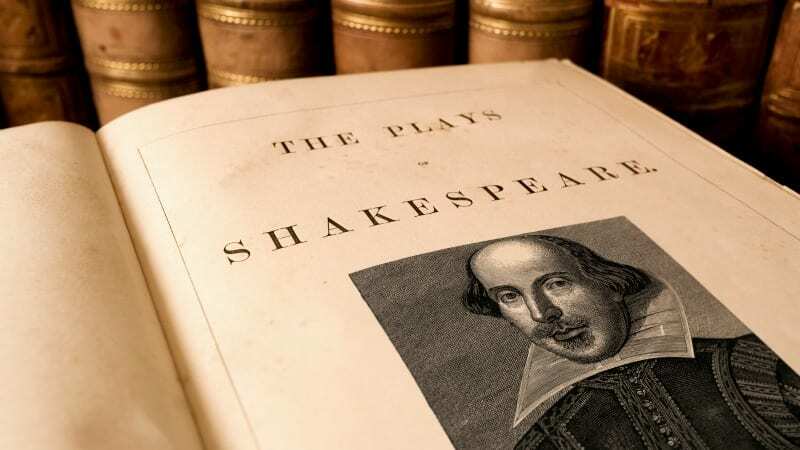 Whether you are a teacher tackling Shakespeare for the first time or you are a veteran looking to change how you’ve taught the Bard in the past, here are seven tips for teaching any of Shakespeare’s plays so that your students won’t hate the experience. 1. Don’t read every scene of every act of the play. In each act, I generally choose to read the scene with the events most important to developing the plot. 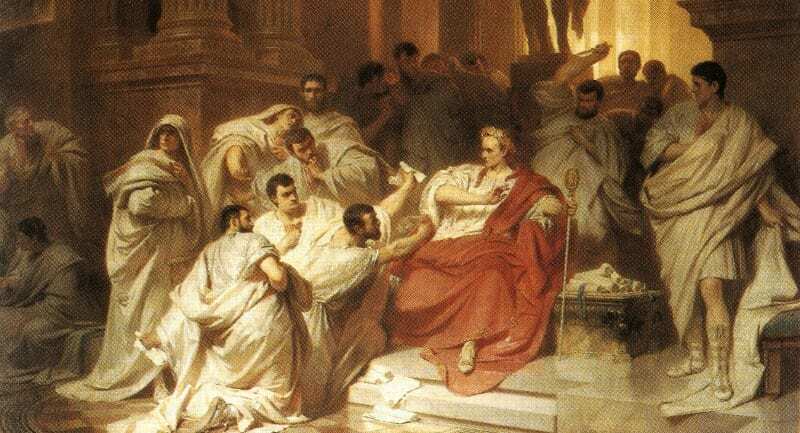 For example, Act I, Scene II of Julius Caesar, in which he is warned by the soothsayer to “beware the ides of March,” is more critical to the development of the plot than the previous scene where two tribunes scold commoners for celebrating Caesar’s recent military triumph. I may choose one other scene per act to read that highlights another important aspect of the play, i.e. Shakespeare’s use of the lower class characters to provide humor. Simply provide summaries for the scenes you skip to fill students in on the less important events. 2. Don’t read all of every scene. Shakespeare was a wordy guy. Cut to the important parts of scenes and summarize the less important parts. I sometimes cut lines in the middle of scenes to shorten them, like the back and forth of the Montague and Capulet servants in Act I, Scene I of Romeo and Juliet. I keep the most famous lines, figurative language I want students to analyze, and enough of the scene for students to get the feel of it. However, I don’t want them to feel overwhelmed. 3. Vary how your students read the text. Use a mix of the original text, modern translations, and side-by-side texts like No Fear Shakespeare. This is available online for 18 different Shakespeare plays. You can also have students listen to an audio of the play while they read along. Folger Shakespeare Library has audio versions of 7 of Shakespeare’s plays available on it’s website. 4. Act it out; it is a play after all! Have students read the play aloud. You can assign parts, let the students choose, or have one student read a part while another acts it out mime-style. You can get twice the number of student involved that way and draw on students’ strengths. If you want to get all of your students involved, number the lines of the scene up to the number of students in your class and then repeat until each line is numbered. Then have students count off and read “their” lines regardless of the character speaking. 5. Bring the play to life on the big screen. Watch a stage or film version of the play. I like to show a scene or two at the beginning of the play to help students visualize the setting and characters. It can also help with student buy-in. Watching two or more versions of the same scene allows students to compare and contrast the decisions made by directors concerning casting, costumes, setting, props, lighting, music, etc. The opening scene of Macbeth is perfect for this exercise. There are even some compilations on YouTube so you don’t have to run out and buy the movies. 6. Familiarize students with the plot before reading. 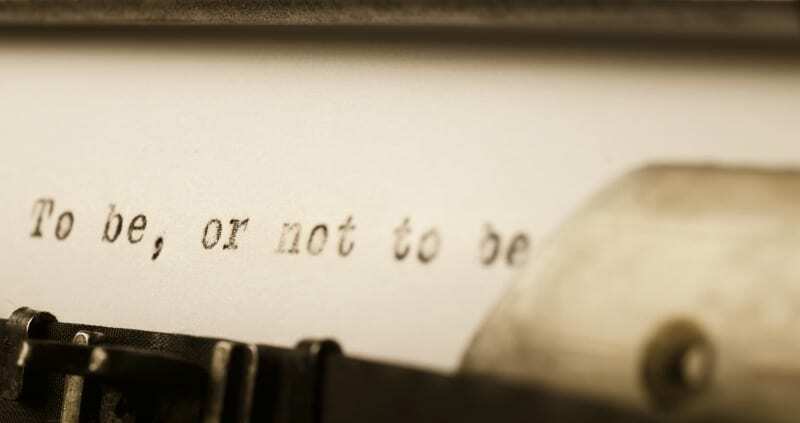 Usually you don’t want to spoil the ending of a great read, but the endings of Shakespeare’s plays are pretty well known (hint: if it’s a tragedy, everyone important usually dies), so the draw of reading one of his plays is all about how the characters get to that point. Besides, Shakespeare is heavy on the dramatic irony, and having a general sense of the plot will further heighten the tension for students. 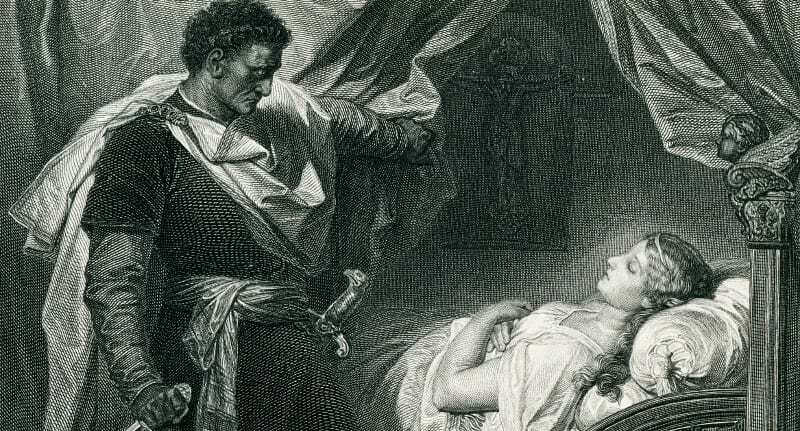 For instance, when reading Othello, students are able to pay closer attention to the words and actions of Iago if they know he will be the undoing of Othello and Desdemona’s relationship. 7. Make sure students know who’s who at the start. Reviewing characters’ names and practicing how to pronounce them will be one less obstacle as students are reading aloud. In addition, give a bit of background information (age, status, personality) for each main character and explain character relationships. This will give students an understanding of how characters’ parts should be read and acted out, but also how and why characters interact with each other. 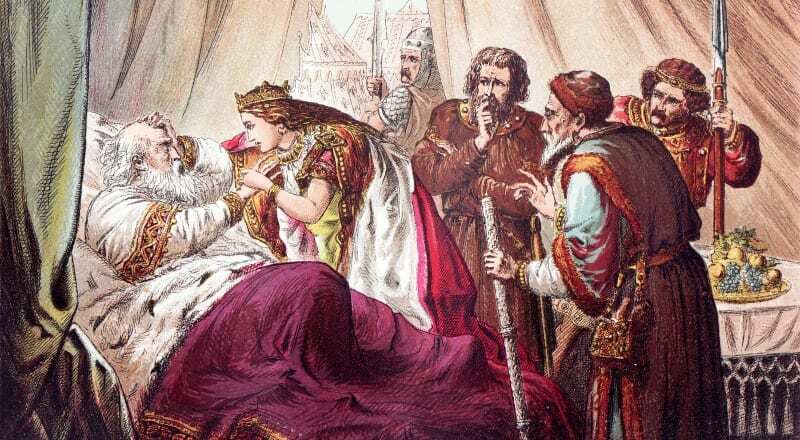 For example, knowing a little bit about King Lear’s daughters and their relationships with their father and each other will help students understand the motivations behind their actions as the play progresses. Most importantly, remember that your students are high school students, not English majors or Shakespearean scholars. Reading one of Shakespeare’s plays with secondary students should be about exposure and enjoyment! How do you teach Shakespeare? Any other tips to add in the comments? After teaching middle and high school English for eight years, Brynn Allison, otherwise known as The Literary Maven, is now a literacy specialist for grades 6-8. You can find resources for teaching in her TeachersPayTeachers store. Brynn Allison co-hosts the #2ndaryELA Twitter chat and Facebook group to support middle and high school English Language Arts teachers. You can find her writing about teaching and young adult literature on her blog, or connect with her on Facebook, Twitter, Instagram, and Pinterest.